The pride of Sri Lanka adds one more release to the year before 2010 comes to a close. 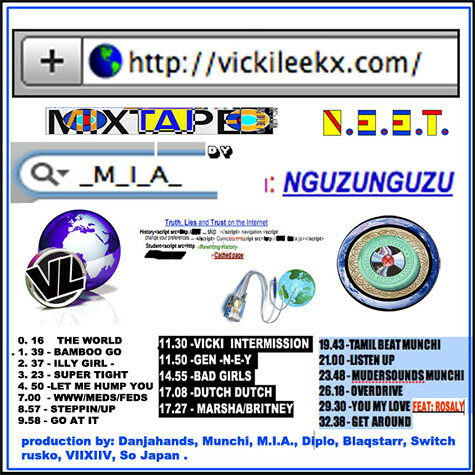 The project titled Vicki Leekx is only M.I.A. 's 2nd official mixtape since '04's Piracy Funds Terrorism, Volume 1. This global set includes production from Danjahandz, Diplo, Blaqstarr, and Rusko.